I know Camilo during the event. His talk about vvave give me hope for a new and great audio player application for our family, as we had in the past. The last talk called my attention was Nate about some ideas to improve our ecosystem. Nate is doing a great work at the usability side, polishing our software in several ways. I recommend his blog to follow this work. Despite I agree in general – like, we need improve our PIM suite – I have some disagreements with others, like the idea of KDE developers contributing to LibreOffice. LibreOffice is a completely different source code with different technologies and practices, there are several (and for most of us, not mapped) influences from different organizations inside the LibreOffice Foundation directing the development of the suite, and in the last we have Calligra Suite – the idea sounded as “let’s drop Calligra”. But it was just a disagreements for a small suggestion, nothing more. After the talk sessions, Akademy had a plenty of BoFs sessions for all kind of preferences. I attended to KDE and Qt (it is always interesting to keep eyes on this topic), KDE Phabricator (Phabricator is an amazing set of tool but suffers because the competitors are much better known and the usability must be improved), and MyCroft (I like the idea of integration between MyCroft and Plasma, specially for specific use cases like assistant to disabled people – I am thinking about it since some months). This year Aracele, Sandro and me hosted a BoF titled “KDE in Americas”. The idea was present some of our achievements for KDE in South America and discuss with fellows from Central and North America about a “continental” event, bringing back the old CampKDE to a new edition together with LaKademy (the secret name is LaKamp :D). This ideia must be matured in the future. This year I tried to host a BoF about KDE in Science and Cantor, but unfortunately I didn’t have feedback on potential attendees. Let’s see if in future we can host some of them. 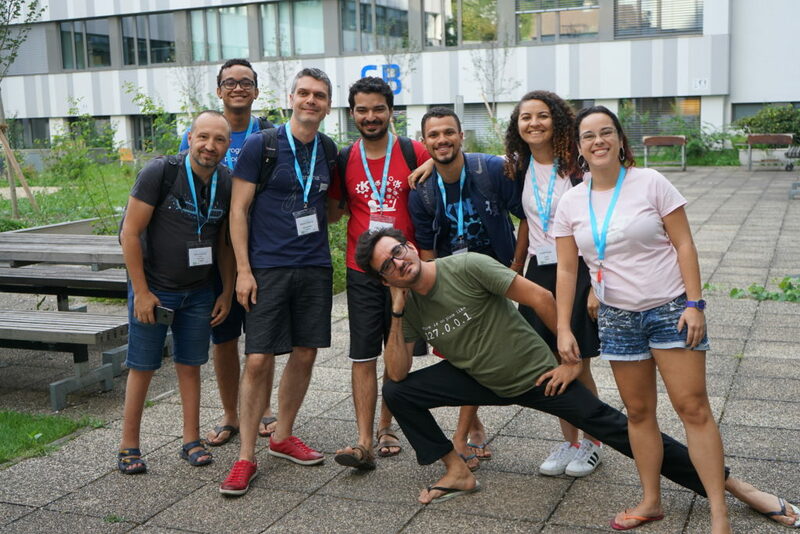 Akademy is an amazing event where you can meet KDE contributors from different tasks and cultures, discuss to them, get feedback for current projects and build new ones. I would like to thanks KDE e.V. for the sponsorship and expect see you again next year (let’s try to insert a disturbance in this biannual sequence) at Akademy or, in some weeks at LaKademy!